I’m a self-taught knitter. Everything I know I pretty much taught myself through Google and Youtube videos. It can be a bit daunting when you’re starting out and trying to learn these sometimes difficult techniques, especially when no one’s there to really guide you through the process. There were a few things I wish I had known earlier on which would’ve made the process a bit easier for me, so I decided I would write a post about it. 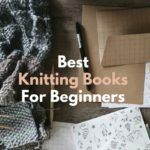 Here are my best beginner knitting tips. **Please note that this post contains affiliate links and I may earn a commission if you click them and make a purchase. I only feature products I use and honestly recommend. This helps to support the blog and is, of course, at no cost to you! One of the most crucial beginner knitting tips is understanding gauge and tension. I saw a lot of references to these when first starting out but didn’t really know what it was referring to so sort of went on without paying it any mind. Big mistake. Tension directly effects gauge, and it varies from person to person. Some have the tendency to knit a bit tighter and subsequently it might take a few more stitches or rows to complete a project. Conversely, a loose knitter may need to downscale the number of stitches so that the resulting work isn’t too big. The type of knitting needle you use can also affect the outcome. I find that my tension tends to be a bit looser when I’m using bamboo needles, and tighter when using metal/aluminum needles. There are lots of factors to take into account here. 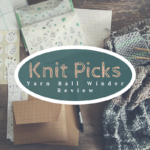 Susan Bates – Knit Chek – Metal Stitch Gauge and Needle Size Checker is my favorite resource for checking my gauge. It also has a super handy needle size checker, that shows the crochet hook sizes as well. This is EXTREMELY useful for me as none of my metal DPN’s have the needle size printed on them and it can be a bit difficult remembering which is which. You just slip it into each hole, and the first hole that the needle can go through fully is its size. Super handy! 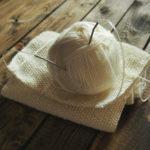 One of the best beginner knitting tips I can suggest is learning how to fix a dropped stitch. This seemed to occur often when I was using my metal needles as the yarn can slide so easily, and would often just slide right off the needles. Starting out I would often get frustrated, as I could barely complete the stitches, let alone figure out how to get them back on the needle and in the right spot. If I didn’t catch the stitch until a few rows later, I would just unravel all the work I had done up until that stitch and start again from that point. This resulted in me losing hours of work sometimes. Eventually, I realized there had to be a better way. And there is. A crochet hook is the best tool to use for this but if you don’t have one, I’ve sometimes used just my needle and fingers to work it. It is actually relatively easy and, like I said, can save you tons of time from having to go back to where the issue originally occurred. I’ve included a short video below of me picking up a dropped stitch, and weaving the loose yarn through the loop on the crochet hook. After that you would just return the loop on the hook to your needle, and voila- dropped stitch fixed! 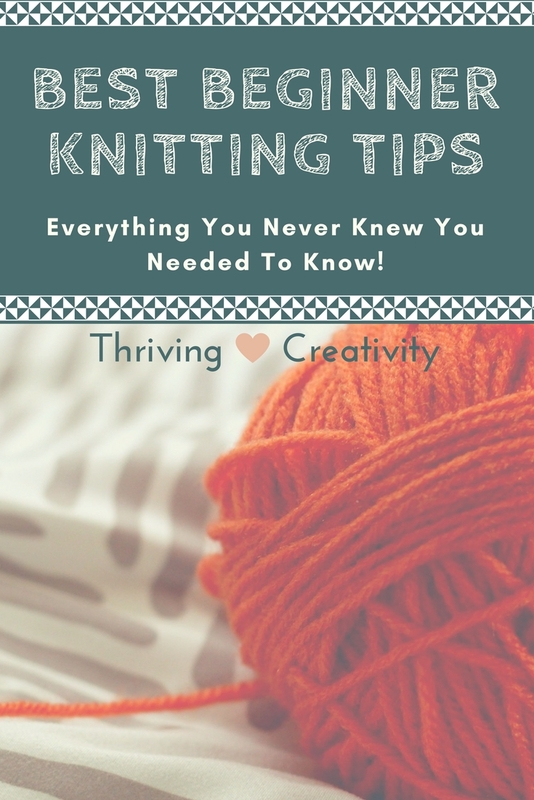 This has to be one of the most important beginner knitting tips. Learning the difference between these two stitches. Knits and purls are pretty much the basis of knitting. Pretty much all patterns derive from variations of these two stitches so mastering them is key to being a successful knitter. Starting out I tried to find the easiest patterns to do so I could build up my skills and often times would find myself getting confused if a pattern incorporated these two stitches, especially if they were side by side. 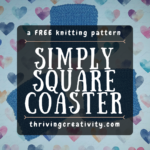 Knowing how to look at a pattern and visually spot the difference between a knit stitch and a purl stitch can be so important. Especially if you’re like me and are always having to stop and start your work. It’s easy to forget where you are and what you just finished. Purl stitches on the left appear raised, and bumpy while knit stitches on the right appear to go in. One of my first purchases at the craft store was some cute placeholders. They looked like large safety pins and promised to help keep stitches that are not live (stitches not being worked) out of the way while you focused on ones that were. I soon found out though that they were a bit too big and clunky to have on active work and made it a lot harder to knit around them. Particularly if you only needed to set aside a small number of stitches. Over time I’ve come to realize that scrap yarn is the BEST way to put aside stitches that need to be worked on later. The yarn, as we know, is bendable and allows the work to be manuevered a lot easier than bulkier placeholders. And they’re pretty much free. All my knitting friends have scrap yarn from projects and I always urge them to just keep them in a little box or tin to use. Repurposing at its best! I didn’t want to buy DPN’s, circulars, and straight needles in every size but when I came across these Boye Yarn Ball Point Protectors , the game changed! Their intended purpose is to protect the points and keep your work from sliding off when being stored but I like to jam a couple on the end of my DPN’s and essentially turn them into straight needles! It saves me from having to buy extra pairs of needles in different forms and is just so darn handy! 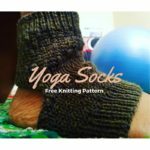 I hope you find this post helpful on your knitting journey! If there are any special tips and tricks you have, I’d love to hear about them. I’m always trying to update my repertorie. Sound off in the comments below. 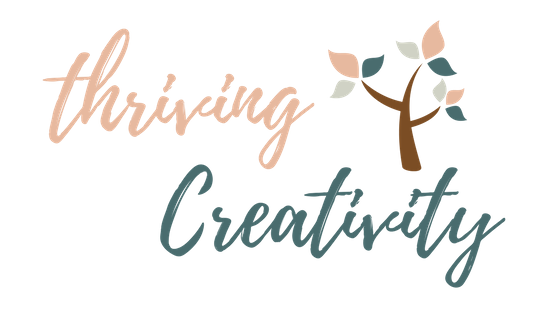 As always, happy knitting, and let your creativity thrive! These are some really helpful tips. I have always shied away from knitting. This really helps me get comfortable with it! It can be a bit daunting at first but is well worth the work. If you ever pick it up, I hope this post helps! I would love to know how to knit but it seems so hard for me. My mother tried several times to help me but nothing! 🙁 Greta suggestions and tips for beginners though! The post is always here if you ever decide to try and pick it up again! Your tips make this look easy. 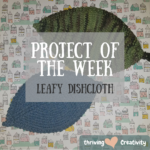 It gives hope to other self-taught knitters!